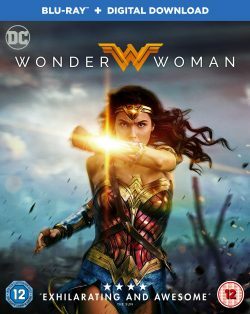 Experience the wonder when Warner Bros. and DC Entertainment’s “WONDER WOMAN” arrives onto 4K UHD, Blu-ray 3D, Blu-ray, DVD and Digital Download. Gal Gadot returns as the DC Super Hero in the epic action adventure from director Patty Jenkins (“Monster,” AMC’s “The Killing”). The 4K UHD, Blu-ray 3D and Blu-ray will include an all-new bonus scene never before seen in cinemas as well as interviews with filmmakers, featurettes, and extended scenes. WONDER WOMAN is available on 4K UHD, Blu-ray 3D, Blu-ray and DVD October 9 and on Digital Download September 25, 2017.